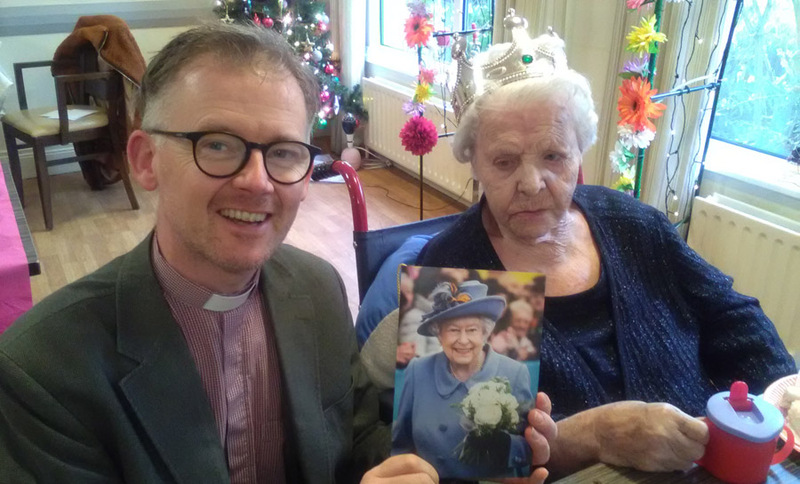 It was an exceptionally busy month in December for the residents and staff of Ballyclare Private Nursing Home. At the beginning of December residents and staff went to Hillside Garden Centre for our Christmas dinner and everyone enjoyed their meal and a walk around all the different Christmas decorations an displays. 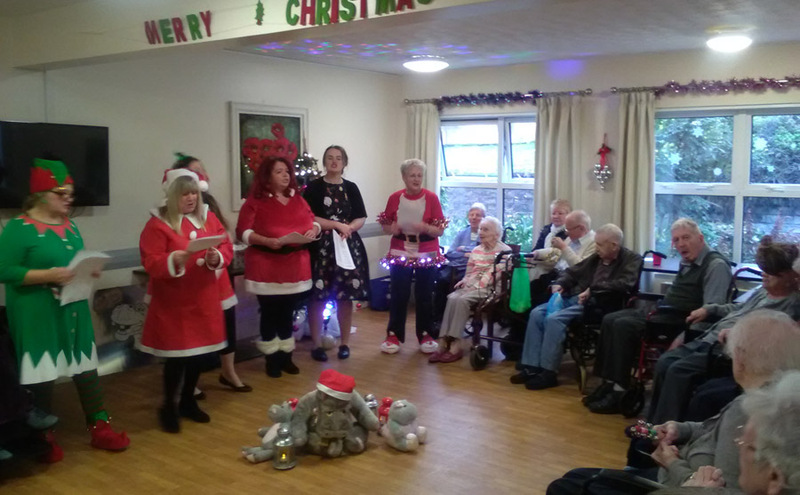 A few days later the activity nurses did a group visit to our home to perform carol singing and a great afternoon was enjoyed by all. We were also delighted to welcome Adrian the gospel singer with his lovely music to entertain us and everyone joined in. At our annual Christmas party Philip Strange played wonderful music all afternoon and staff came in with their children, grandchildren and stayed after their shift to enjoy the festivities. Santa visited and had presents for all the residents and the children all had a brilliant afternoon singing and dancing – Santa included ! We welcomed Ballylinney GB girls who came in one evening and treated us all to carol singing in the lounges . They gave each resident a Christmas bobble with their GB logo in it – a lovely thoughtful gift and everyone was very pleased. Shortly afterwards we were visited by Ballyclare Primary School children who came in and sang beautifully to our residents and this was followed by the Salvation Army in the afternoon. The festivities and activities continued apace as Ruth Smyth sang for the afternoon while Rhythm and Movement arrived in the afternoon to provide great music along with exercises. It would be rare at Ballyclare to have a month without a birthday celebration and December was no exception and what a milestone this was – Florence was 100 years young on the 24th December and celebrated with her family and had her great, great nephew and niece as well visiting- naturally Florence enjoyed it all and loved having the children visiting. So it’s been a very eventful and busy month in Ballyclare – perhaps time for a little rest in the New Year !